The toy cars were introduced in 1968. 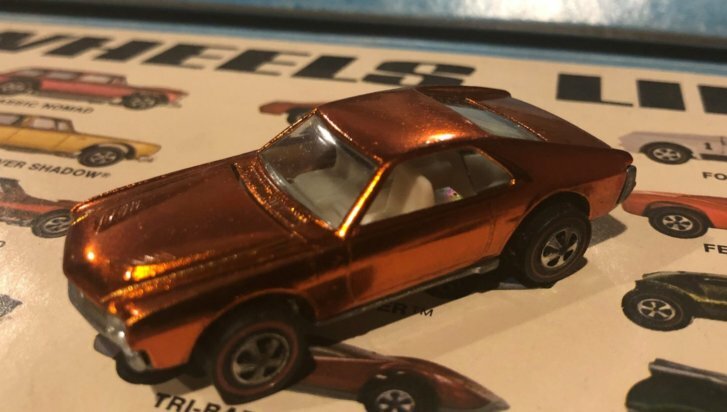 Now, a Montgomery County man's Hot Wheels toy car collection is estimated to be worth $1.5 million. WASHINGTON — When he was 7 years old, Bruce Pascal’s Matchbox cars weren’t doing it for him. “They came in a box, so you couldn’t see the car unless you opened it up. They didn’t have great colors or details. And then, if you pushed the car, it only went two inches,” Pascal said. Then, in May of 1968, toy maker Mattel introduced Hot Wheels. For a young boy, the fantasy was intoxicating. “The 16-year-old cool kid in the neighborhood had a Camaro — I had my green Camaro,” Pascal said. Without mentioning Matchbox cars by name, early Hot Wheels ads trumpeted “these are the fast ones,” and depicted competing die-cast toys, not equipped with the freely-spinning wheels failing to navigate loops, and miserably falling victim to gravity. The lure of stylish speed was affordable, Pascal said. Pascal said he took a long break from Hot Wheels. Over time, Pascal realized he had a valuable commodity. When the rarest Hot Wheel in the world became available for sale — a pink Volkswagen bus prototype — he bought it. With internet research, he’s tracked down 400 former Mattel employees and has compiled blueprints of cars, as well as wooden prototypes of rare Hot Wheels. Pascal said his collection of 7000 Hot Wheels related items has an estimated worth of $1.5 million. He said sales figures show approximately 20 percent of Hot Wheels sales are made to adults. You can see Bruce’s collection, Feb. 11, at 7:30 p.m., on Maryland Public Television’s “Chesapeake Collectibles” program.